Posted on August 10, 2018 by Chelsea Cleveland. This entry was posted in Engaging Interests and tagged engaging interests, U Book Store. Bookmark the permalink. Like a mentor you can call on at any time, a good biography (or autobiography) is packed with life lessons that can act as a source of insight and inspiration. The best part of these stories? They’re all true. 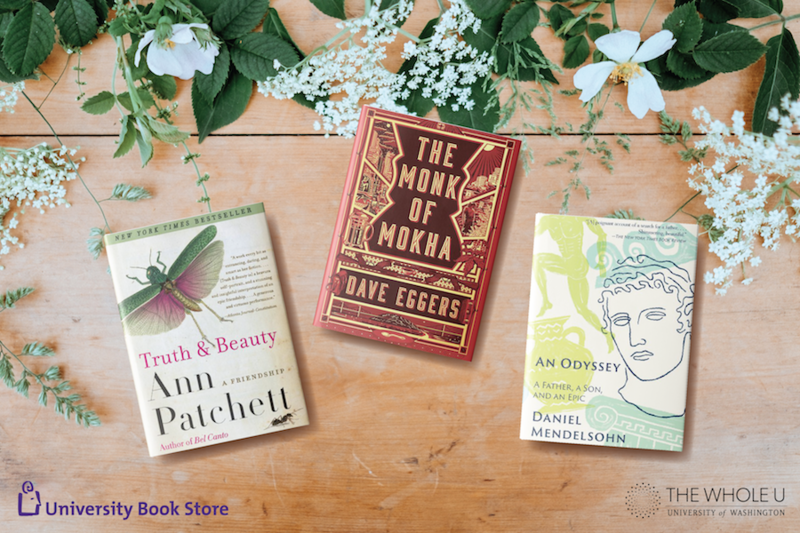 The U Book Store selected a few favorites to supplement your late-summer reading—wherever the month of August might take you. Daniel Mendelsohn is a classics scholar, New Yorker contributor, and an undergraduate professor. 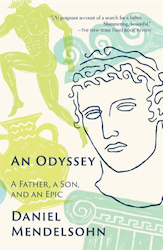 When his 81-year-old father, Jay, asks if he can sit in on his course about The Odyssey, it’s the beginning of a humorous, enlightening, and ultimately moving father-and-son journey. Through the course and a 10-day cruise tracing Odysseus’s path, the mismatched pair develop a new level of understanding for each other in what will end up being Jay’s last years. Pulitzer Prize and National Book Award winner Timothy Egan unpacks the fascinating tale of a man who became a legend in three countries. Who was this man? 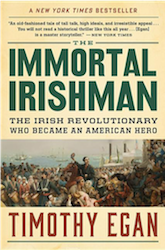 You may not know about a young Irish orator named Thomas Francis Meagher yet, but once you’ve finished this book, you’ll never forget him. The charismatic Meagher first rose to prominence in Ireland during the 1840s Great Famine when he encouraged his fellow countrymen to fight against British rule. He was arrested and sent to a Tasmanian prison colony, but with some help eventually escaped and made his way to New York and got involved in Irish-American politics. He then became involved in the Civil War, where he was appointed a Union general since his speaking gifts made him a powerful recruiter. History truly jumps off the page with Egan at the helm! International best-selling author Ann Patchett is known for her work in both fiction and non-fiction. As a student, she attended the acclaimed Iowa Writers’ Workshop, where she met the subject of Truth and Beauty, Lucy Grealy. Grealy was a witty and talented young writer. The award-winning poet and essayist lost part of her jaw to childhood cancer and would undergo dozens of reconstructive surgeries over the course of her life. Through writing struggles, financial difficulties, health struggles, addiction, and heartbreak, their friendship would endure through to the end of Grealy’s death. 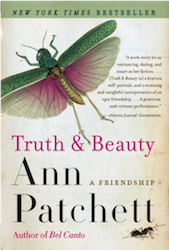 Truth & Beauty is the story of a passionate friendship that spanned two decades and was cut short far too soon. National Book Award finalist Dave Eggers is beloved for his literary magazine, McSweeny’s, and his novel, The Circle, that was recently adapted for the big screen. Yet Eggers is perhaps his best when sharpening his pen on contemporary social issues through powerful, true stories. 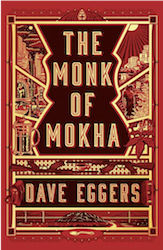 In The Monk of Mokha, we meet Mokhtar, a second-generation Yemeni American from San Francisco’s dodgy Tenderloin district. At 24, Mokhtar is aimless and working as a doorman when he makes a surprising discovery about Yemen’s crucial place in coffee’s history. Soon, he’s diving head-first into the business of coffee: learning as much as he can, reconnecting with his ancestral heritage, and working with Yemeni farmers to reinvigorate the country’s coffee industry during a time of political instability. Part personal journey and part thrilling adventure, it’s a timely read that anyone can enjoy and learn from—whether they love coffee or not. Have we recommended this book before? Yes. Will we recommend it again in the future? Probably. 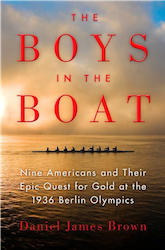 You might as well just give in and read the inspiring story of the UW men’s crew team that took the world stage at the 1936 Olympic Games in Berlin. A compelling meeting point of world history, local history, and underdog story, The Boys in the Boat takes us back to the rising tensions in the years leading up to World War II and the depths of The Great Depression. Nine young men from working-class families captured the hearts of the nation as they trained for the ultimate regatta. Written with cinematic prose, this uplifting American tale makes for a highly-entertaining read with a healthy dose of regional flavor. This August, pour yourself a cool drink and kick back with one of these can’t-put-down titles.